COCOA BEACH, Florida - A man was arrested on New Years Eve after he allegedly pushed a woman off of a balcony in Cocoa Beach, Florida. Around 8:30 p.m. on Sunday, December 31, 2017, Cocoa Beach police and fire rescue crews responded to a report of a woman in her fifties who fell off of a balcony on California Avenue. After interviewing witnesses, police determined that the woman was pushed off a second-story balcony by 62-year-old William James Lewis of Cocoa Beach, Florida. The woman was transported to Cape Canaveral Hospital as a trauma alert where she was airlifted to a trauma center. Williams was arrested and charged with domestic violence battery by strangulation, a third-degree felony. 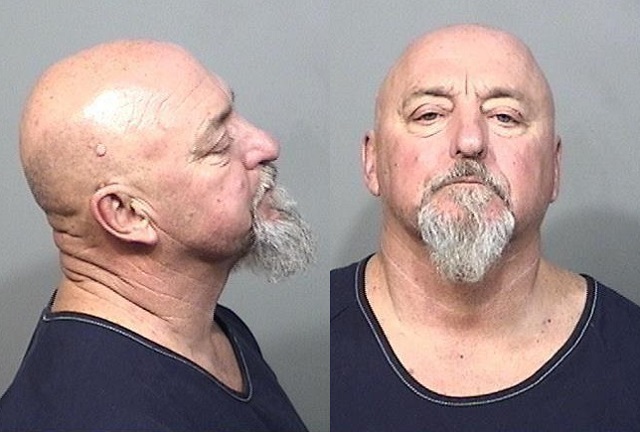 He was booked into the Brevard County Jail where his bond was set at $100,000. As of Tuesday, the woman is listed in stable condition.